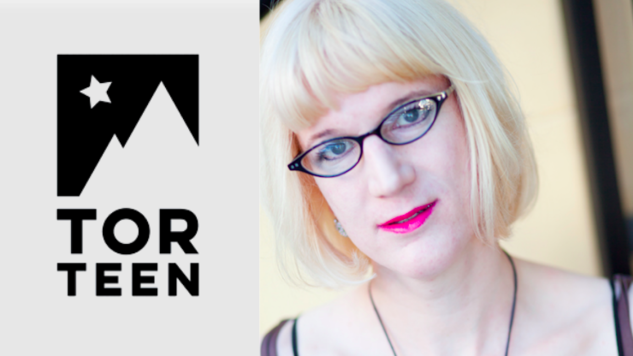 Charlie Jane Anders, a Nebula Award-winning author and co-founder of io9.com, is taking readers to space in a thrilling new Young Adult trilogy acquired by Tor Teen. Tor released Anders’ debut novel, All the Birds in the Sky, in January 2016 to critical acclaim. The book follows a witch and a tech geek against the backdrop of a war between magic and science, and it won the 2017 Nebula Award for Best Novel. Tor is also publishing Anders’ second novel for adults, The City in the Middle of the Night, in January 2019. Anders’ upcoming trilogy, her first foray into YA fiction, was acquired by Tor Associate Publisher Patrick Nielsen Hayden in a preempt with agent Russell Galen of Scovil Galen Ghosh Literary Agency. Book one is scheduled for a late-2019 or early-2020 publication date.